Our Boracay, Aklan vacation was not limited to the white sand and party by the beach. Our itinerary was stretched to some of the best tourist destinations in the province of Antique. 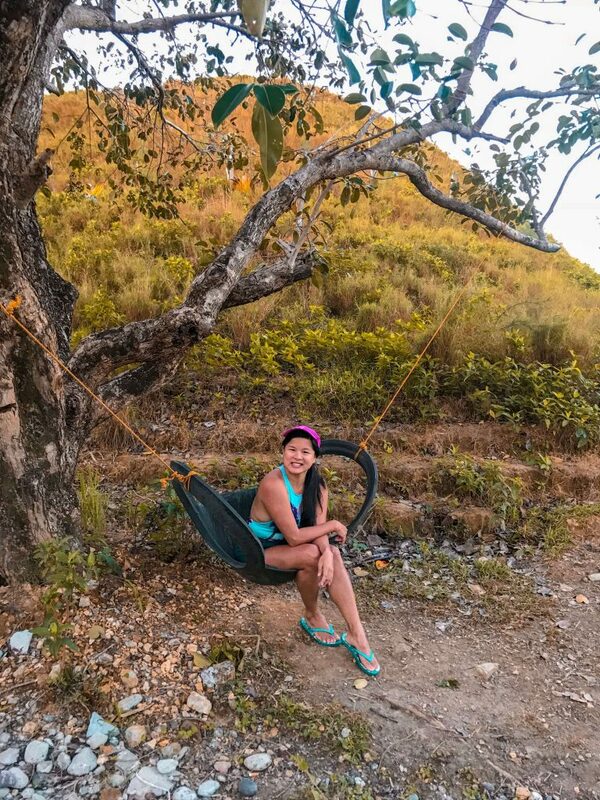 In Tibiao, Antique, the highlights of our day tour were the Kawa Hot Bath experience, Foot Spa Treatment by native fish doctors, and extreme water activities on Butong and Tibiao Rivers. Meanwhile, in Pandan, Antique, we got to see some of the cleanest inland body of water in the Philippines. 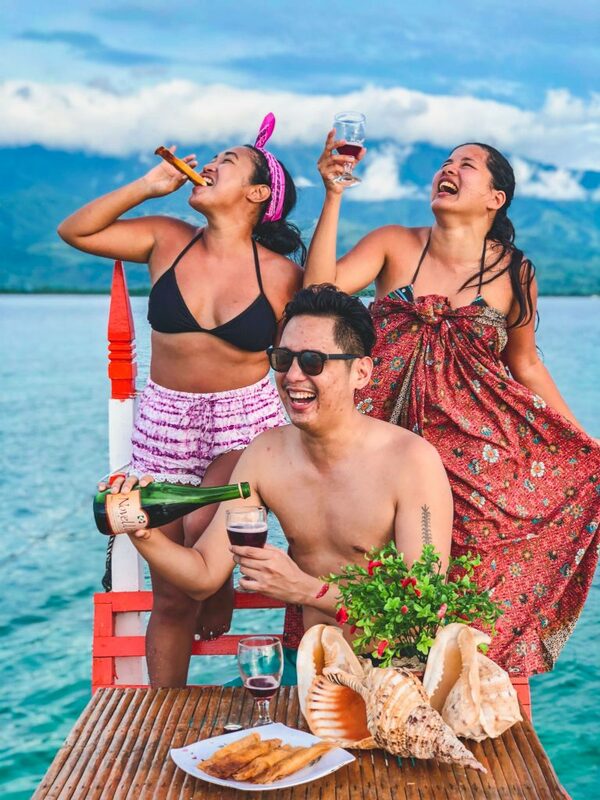 In this article, I can’t wait to share with you our adventure in Culasi, Antique, more particularly in Mararison Island. Culasi is located up north of Tibiao and in the south of Pandan, Antique. 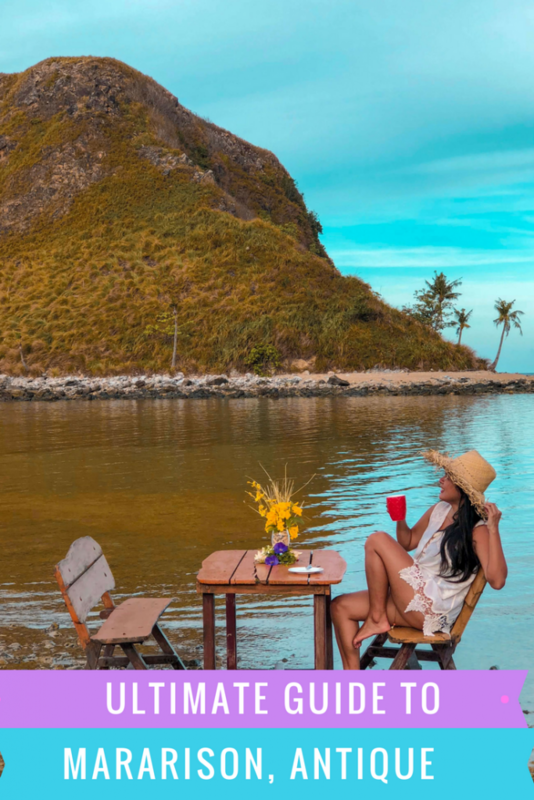 And, about 20 minutes away from the main island of Panay is the Mararison Island, sometimes referred to as Malalison Island. Panay Island is serviced by four airports. Kalibo International Airport and Iloilo International Airport are the busiest airports. 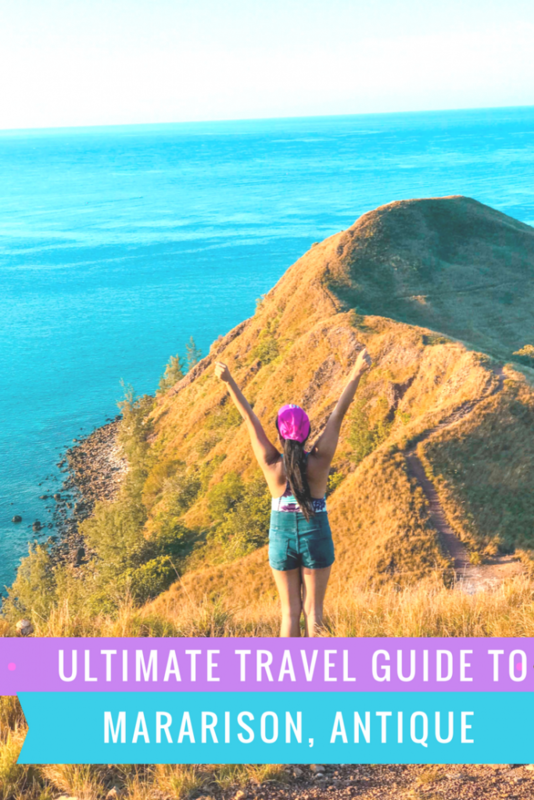 So, in case you’ll be coming from the Iloilo International Airport, or somewhere in Iloilo, you may just look for the Molo Terminal. From this terminal, you can take a bus going to the northwest of Panay or to Culasi. It will take more or less five hours to reach Culasi. Bus fare may cost around P200. For those people who will be coming from Kalibo, search for the Ceres Bus Terminal. Take a bus bound for San Jose, Antique via Culasi. Travelling from Kalibo to Culasi may take around 2 hours only. Bus fare may cost more or less P150. From Capiz Province, I think there’s no bus going directly to Antique Province. So, you’ll just have to find a bus or van heading to Kalibo. And, then, ride the Ceres bus heading to San Jose, Antique, via Culasi. Total travel time from Capiz to Culasi may take at least four hours. If you’ll be coming directly from Boracay, Caticlan, you should not have any trouble finding a bus bound for San Jose, Antique via Culasi. The bus terminal is located near the jetty port. Travel time may take around two hours. The Culasi port is only a few minutes away from the Tourism Information Center. Culasi port going to Malalison Island may only take only around 15 minutes. *Boat Ride is good for 5 persons only. An addition of P 150 per head will be required for those who will exceed 5 persons. For a shared ride, the fee is only at least around P150 per head. There are available high-end resorts and homestay accommodation. Out of 145 households in the island, there are 41 trained homestay accommodations you can choose from. Some homestay offer bedroom plus access to your own private toilet and bathroom and kitchenette. Some offer bungalow type rooms but only include access to a shared bathroom. Overnight stay rates for homestay may start at P 250 per person. Additional service they offer is cooking your meal. Cooking services may cost at least P100 and an additional to buy the ingredients. If lucky, they can get you the freshest catch of the day. Sea urchins are the most abundant seafood here. As for us, we stayed at Enrique de Mararison, one of the few high-end Malalison island resorts. The resort is beachfront and facing Nablag islet. It is a bit secluded and about 30 minutes walk to the community. The pump boat that they will arrange for you will pick you up at the Unidos Beach Resort, also owned by Enrique de Mararison. It is located at 101 Iloilo-Antique Road, Culasi or just five minutes drive going south from Culasi Port, Antique. Enrique de Mararison offers bedroom cottages, fan-cooled only. Cottages available are good for individual, couples, up to 14 persons. There are no shared rooms. Overnight stay per room which is already good for 6 persons may cost only around P 1,500. Isn’t that lovely? This is good value for money. This rate already includes payment for the roundtrip pump boat rental, terminal and environmental fees, free use of open cottages by the beach, electricity, running water, private bathroom, and breakfast the next day. The island uses generators for their electricity supply. Electricity is available on the island only from 6:00 pm until 10:00 pm. In Enriques, their 24-hour supply of electricity is powered by solar. There are no electrical outlets though in your room. But, you can ask the resort staff to charge your phone without an additional fee. We enjoyed our antiqueno breakfast. We had our breakfast right by the beach. 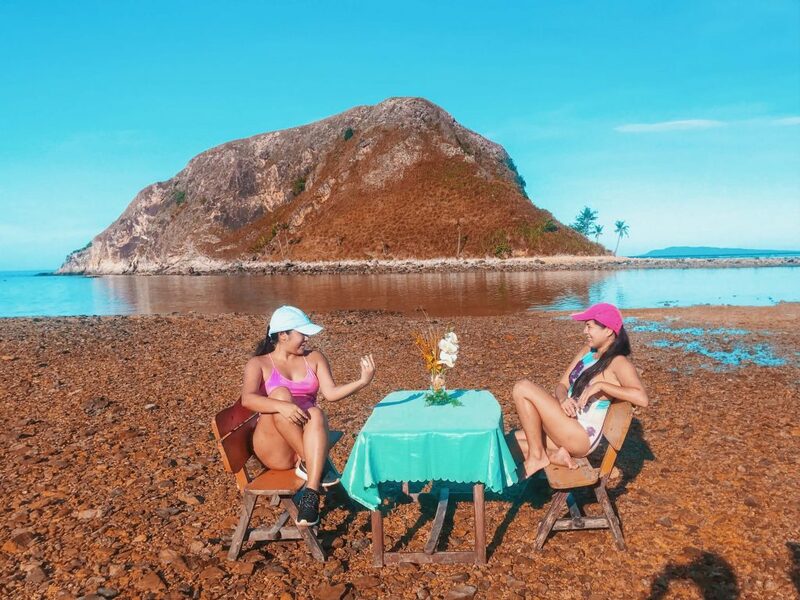 We had good food and comfortable benches and tables plus the unobstructed view of the beach and the Nablag islet. The setting was very romantic. We even had a sunset cruise on top of the boat loved it. I’ve already seen some firefly trees in Palawan and Sorsogon but not up close since we were in a boat. In Mararison Island, Erica and I just lay under the firefly tree. It was magical. 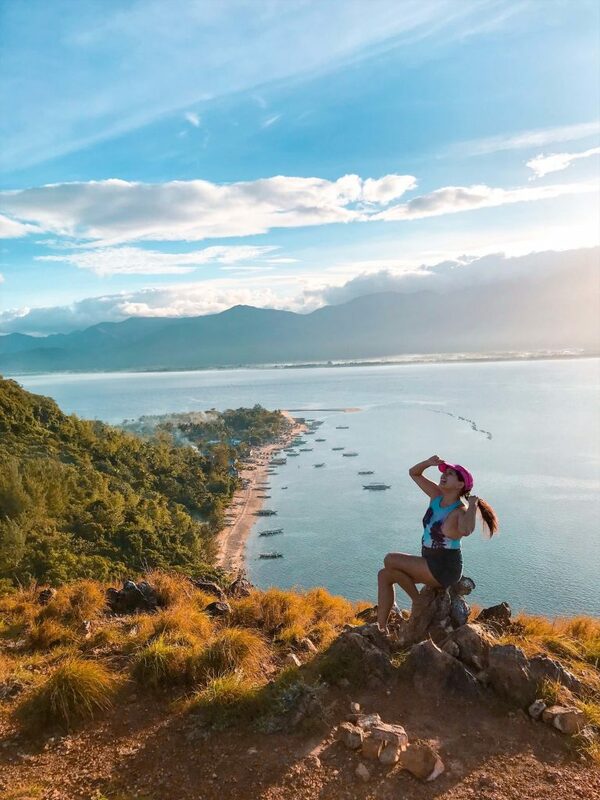 You can take a hike up in the Mararison peak located in the west part of the island. We loved the scenic view of the sea and the Nablag cove. Our guide Jong took his dogs with him. We loved and enjoy their company. It is an easy trek. Check out the flora and fauna. 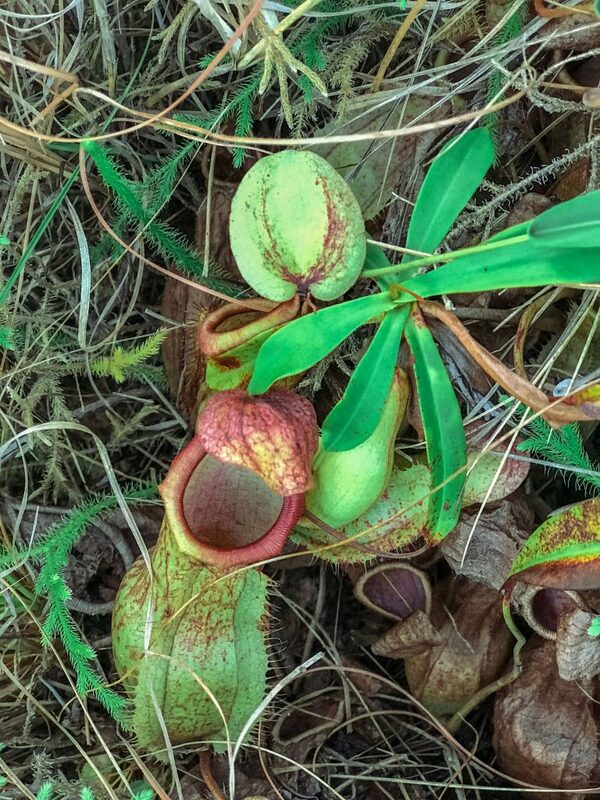 We came across some pitcher plants which we don’t often see. Then, there were some pine trees which can be seen at the start of the trek from the east. Most parts of the low hills are covered with plain grass. Go to the community. 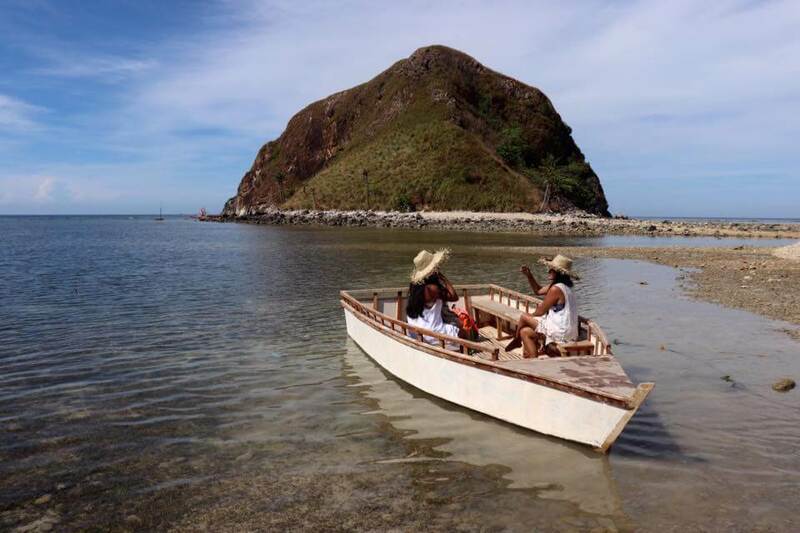 Before Mararison Island became a tourist spot, the island is mainly a community of fishermen and their family. In 2016, it was featured in the news, particularly after the Typhoon Haiyan. Many then appreciated the beauty of the island. An influx of local and foreign tourists into the island then started. The lovely sandbar located in the eastern part of the Malalison Island has fine sand and surrounded by clear blue waters. It’s a great place for a swim. You can also find beautiful scenery from the beach which has Antique Mountains as the backdrop. The Gui-ob Beach is part of the island which is rich with colorful stones. You can take a peek too of its small cave. Other activities you can try are snorkeling, scuba diving, boating around the island. There are no fine dining restaurants around. But, you’d still love the local carinderias, a classic Filipino eatery. Here, you can expect Filipino viands partnered with rice. Each meal can cost around P 50 to P 110. By sunset, grilling stalls are set up and offer pork barbecue, chicken wings, isaw (pig or chicken intestines), and hotdog. Per stick costs at least P 5 to P 20. Small sari-sari stores sell bottled water, coffee, beer, canned goods and some snacks. These goods can be a bit more expensive compared to normal rates. Don’t forget to bring your power bank, probably for your cameras. Your cell phone can be not much useful because mobile signals, as well as internet signals, are low to unavailable. A great place to detox from social media and other online activities. The island uses generator for their electricity usually from 6 in the afternoon until 10 in the evening. Some accommodations, like Enrique de Mararison, use solar panels. Others use rechargeable or solar-powered lamps and fans. So, this is one of the additional factors you might want to consider when choosing a place to stay. 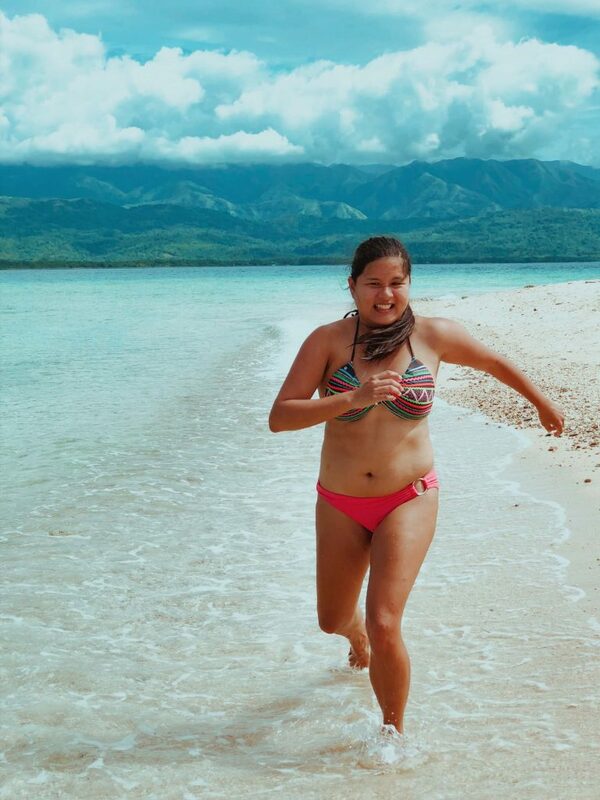 Overall, Mararison Island is a definitely a good alternative to, or ideal side trip from, Boracay. 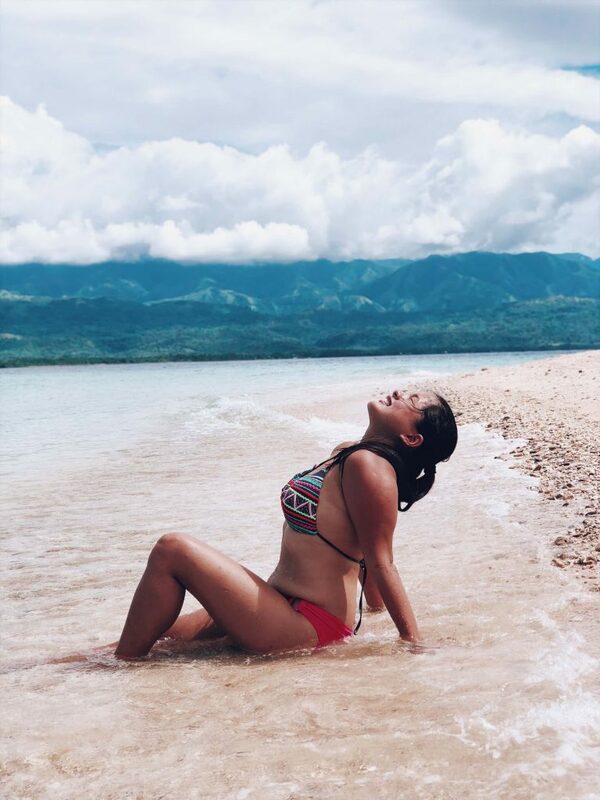 The place has a fine sandbar, colorful rock-filled beach on one side, easy-to-trek rolling hills and water adventure activities. 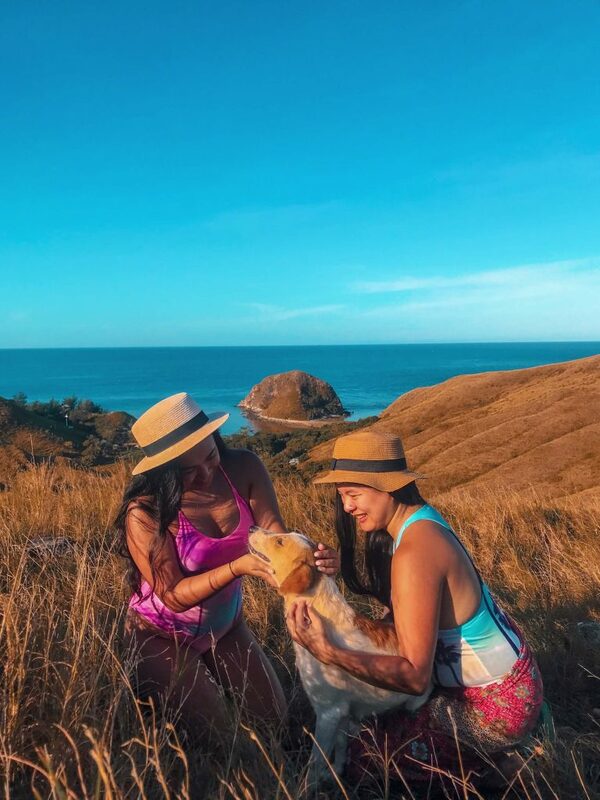 The island also welcomes you to their community where you can get a glimpse of the simple and happy life of its local residents, mostly fishermen. Hi,an awesome blog. Thanks for sharing it. Im following your IG too, wonderful scenery.